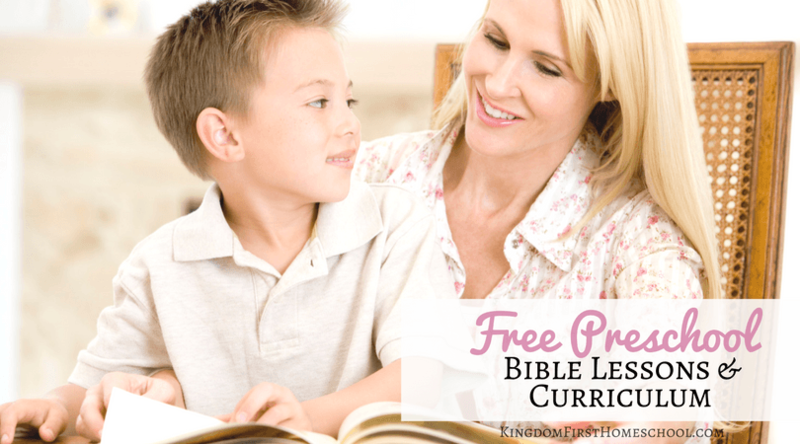 Bad attitudes, frustration, no focus or concentration in your homeschool? 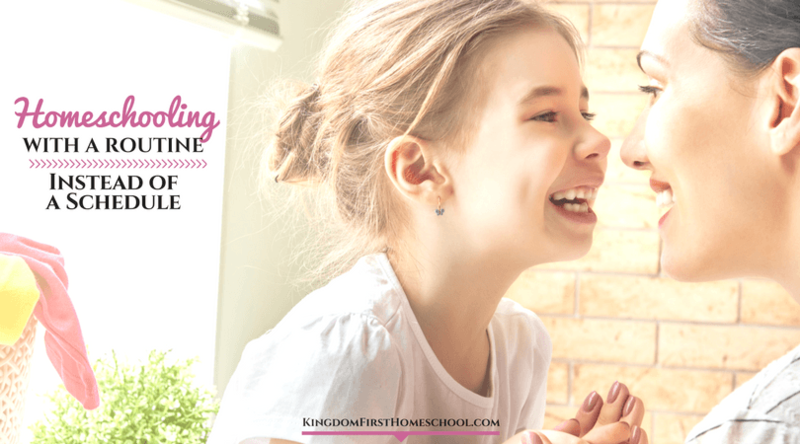 I’m excited to share my love for essential oils for homeschooling. Essential oils have come on the scene in a big way over the last few years. 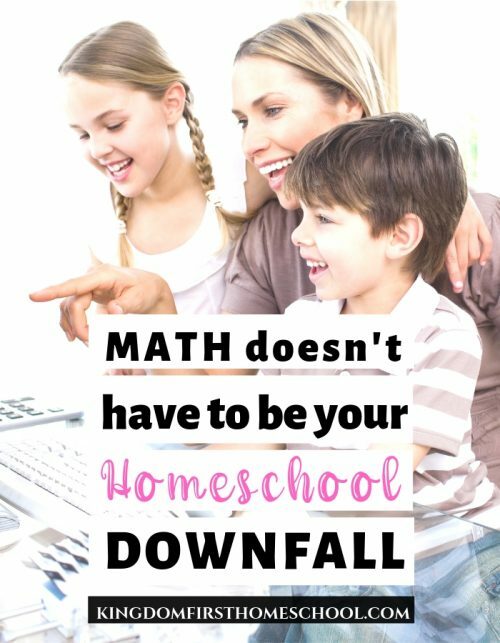 We use essential oils for homeschooling and so many other things as well. I once was a skeptic like so many others today, but as soon as I tried oils the first time it was over for me! No longer was I in that group of critics and I experienced amazing results every single time I used them. I’ve been using essential oils for years now and absolutely love these little bottles of God’s natural healthy goodness. I have found them helpful for menstrual relief, headaches, allergies, facial scrubs and for almost anything you can think of. I seriously couldn’t imagine going back to life before I discovered essential oils. They have saved me a lot of money from doctors appointments and medicines to wart surgeries! I no longer have to pump my kids full of chemical filled medicine for a headache or fever! I am no expert, but they work for us. I just google what essential oil to use for …..? Whenever my kids get sick I apply prayer and oils! That’s all I usually need most of the time anyway. 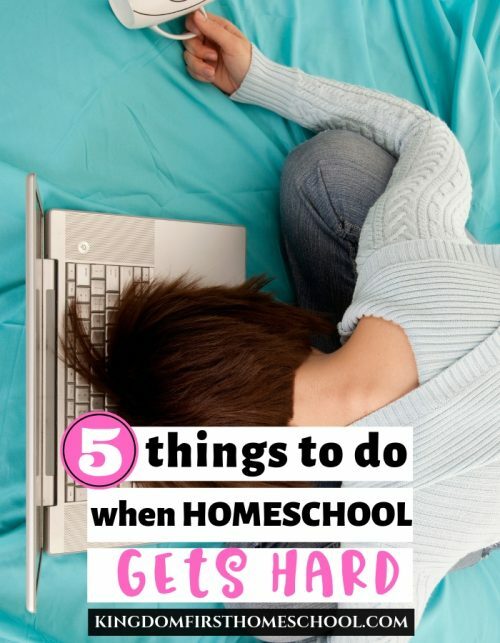 If you are a homeschool mom, you already know that it can be very exhausting. Mentally and emotionally for both you and your kids. 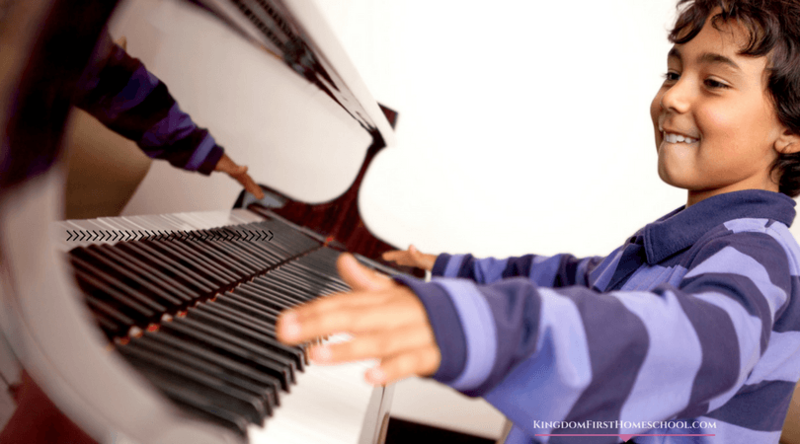 Getting the kids to stay on track and focused for a few hours seems to be pretty much impossible most days. The constant interruptions and distracted minds became too much for this mama to handle. But as I have started to use essential oils for homeschooling we have curbed the issue quite a bit. We get more accomplished and have noticed a lot more peaceful days. It’s not a cure-all and we still have tough days, but I have really noticed a difference and that’s enough for me. Peppermint Essential Oil alleviates mental fatigue and boosts energy and alertness. The oil promotes fresh perspectives while inspiring creativity and self-confidence. Diffuse Peppermint to uplift the mood, easing tension and overwhelming emotions. Caution: Peppermint Essential Oil is a hot oil. Always dilute hot oils with a carrier oil to prevent skin sensitization. Lavender Essential Oil herbaceous floral aroma can promote general mental and physical well-being. The oil’s natural soothing properties also may help uplift the mood, encourage feelings of love, reduce fear and irritability, and restore balance to a chaotic mind. The smell of peppermint and lavender together is my favorite smell ever and it really helps to bring the perfect amounts of energy & focus and relaxation & peace all at the same time. I use equal amounts of both about 2-4 drops of each in my diffuser. Anything more is a bit much I think. I’m going to be experimenting a bit more. I’ve been researching some great recipes for the basic mood you would like to diffuse in your home. I feel like we have high highs and low lows and I’m just looking for balance really. 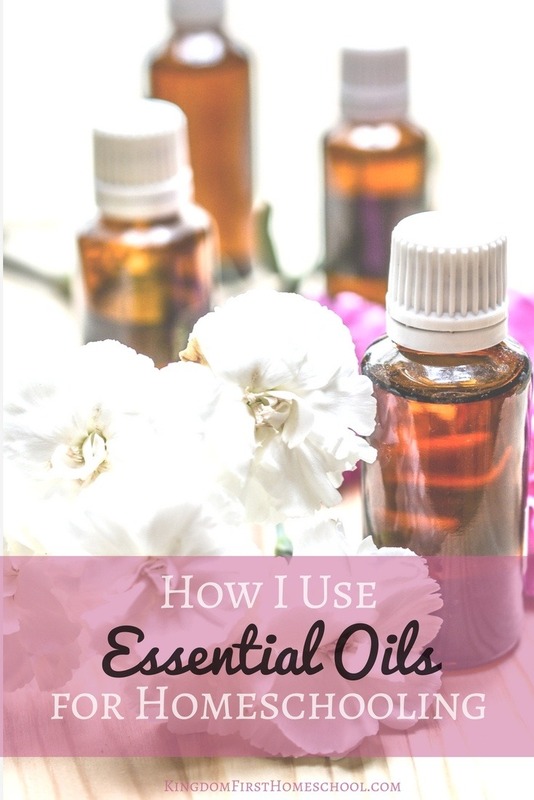 When I first introduced oils to my girls, they complained and fought me tooth and nail but now all of my girls come and ask for oils… ALL-THE-TIME! Whether it’s before bed or they notice a bug bite. They are quick to ask for oils. My first grader is quick to flip and can be quite a handful. So peppermint and lavender being diffused in the air help to both calm and keep her focused big time. These oils help my third grader stay focused and brings her energy level up a bit, she tends to get frustrated and lacks motivation and confidence. Then there’s my 5th grader, she is all over the place, unfocused, chatty and a negative Nancy. Her mood is pretty melodramatic and she loves the peppermint oil for a boost. As soon as I get a few more oils in my collection I am going to try this blend that Marcy from Ben and Me shared for the peaceful child. This recipe looks perfect for us. I used to just put a dab here or there on my kiddos not really taking it seriously. But after purchasing a new kid’s line of essential oils a few months ago I’ve stepped up my game a bit. I L-O-V-E the new kid’s line from Rocky Mountain Oils! I have these little roll-on bottles in my purse always. I use them when they get up, before we go anywhere, throughout the day and before they go to bed. Below are the Essential oils from this line that I use for homeschooling purposes. 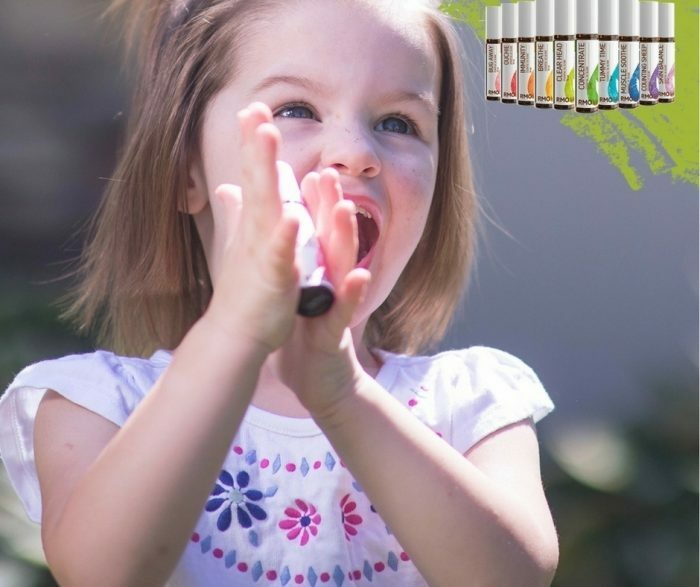 The RMO Kids Line blends are sold in portable, 10ml roll-on bottles at a 2% dilution to provide children two years and older the full benefits of essential oils in the safest way possible. The stainless steel roller-ball tips create an easy and mess-free application experience that is perfect for every mom. A pleasant homeschooling day really hinges on a good nights sleep. So it all starts the night before. Counting Sheep Essential Oil Blend has a warm, woodsy scent that calms the mind and body, leaving your little (and not so little!) ones relaxed and ready for bedtime. Ingredients: Patchouli, Lavender, Sandalwood, and Ylang Ylang in a base of Fractionated Coconut Oil. Application: Apply topically to targeted area such as feet, legs or back. Massage into these areas for additional relaxation. Well, we can’t really have a successful homeschool with sick kiddos all the time so this is a daily application for us. Immunity is the perfect blend for your child during the winter months to help protect against various environmental threats. This oil’s Frankincense carterii constituent is known to help encourage a healthy immune system. Ingredients: Frankincense, Lemon, Lavender, Ravintsara, Marjoram in a base of Fractionated Coconut Oil. Application: Apply topically to targeted area such as the back of the neck, chest or the bottom of the feet. This is one of my favorites that I actually use on myself too. Clear Head Essential Oil Blend’s Basil constituent is your secret weapon against your child’s mental fatigue and head tension. Clear Head blend was created to have a calming and relaxing effect. Ingredients: Mandarin, Orange, Lemon, and Basil in a base of Fractionated Coconut Oil. Application: Apply topically to the desired area such as behind the ears or on the back of the neck. I put this on my girls every day before school, practice or game day. Concentrate Essential Oil Blend has a soft, clean scent and can help your child shut out distractions and engage in their schoolwork and hobbies more effectively. 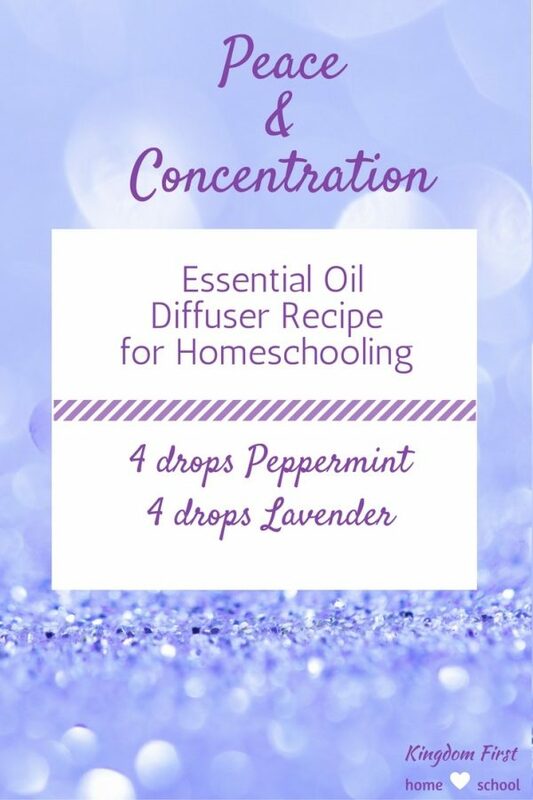 Concentrate blend contains Vetiver which helps focus concentration, reduce mental distractions, and sharpen awareness, which makes this blend a great choice to apply for homeschooling. Ingredients: Frankincense, Lavender, Vetiver, and Cedarwood Atlas in a base of Fractionated Coconut Oil. Application: Apply topically to targeted area such as the back of the neck. I now diffuse peppermint and lavender almost daily and roll on both the concentrate and clear head oils before school even starts. I love the kid’s blends because I know they are already diluted and safe to use on my kids. Personally, I roll it on the bottom of their foot, the back of their neck or the inside of their wrist. If they have a headache I love the clear head roll-on for kids and I put that directly on their neck and forehead. If you do get an oil that is not the kid version (most oils are not) you will have to dilute it properly to be safe for you and your kids. Check out this great chart to make sure you are safely diluting the essential oils. 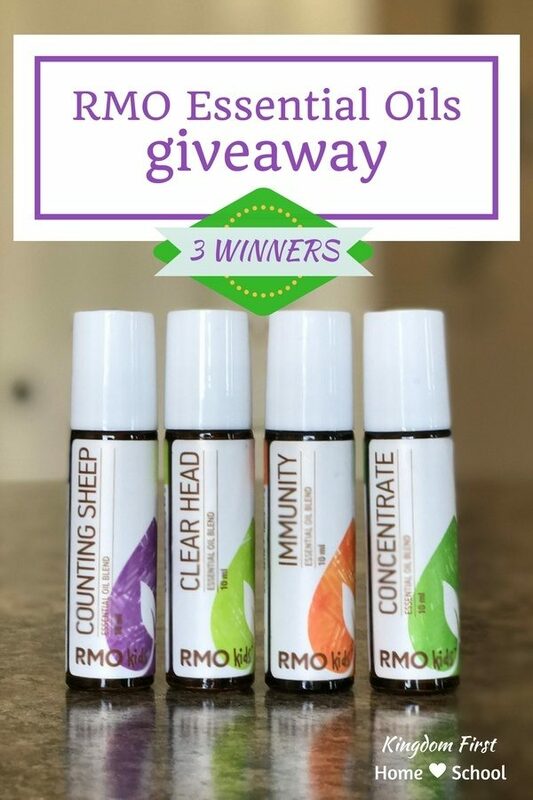 ….And Rocky Mountain Oils wants to give 3 of you all 4 of my favorite oils from their kid’s line! Say What?!?! US residents only and it closes November 30th at 11 PM Eastern. …but if you can’t wait to try them or you missed the Giveaway ~> Purchase Here! RMO is a fantastic company with pure oils and satisfaction guaranteed with a no questions asked return policy and the kicker….FREE SHIPPING ALWAYS! I have been wanting to try the kids line. Many Essential Oils are even good for your pets! I just recently started utilizing essential oils for their natural healing properties as I suffer from many different autoimmune diseases. After much research, I started combining peppermint oil and lavender oil with sweet almond oil as my carrier oil to teat my migraines. I would say this has become my favorite combination because it helps ease the migraines, it smells great, it helps ease the tension in my muscles, and it helps me relax. My son, who is on the Autism Spectrum, is often very sensitive to smells due to his sensory processing issues but isn’t bothered by the scent of the essential oils. Tea Tree is my favorite, not for the nice smell, but because of its usefulness. I am interested in Counting Sheep! We have another sleep blend, but it contains juniper and caused an allergic reaction, so this one without that oil would be great! My favorite is lemon or anything citrus, I just love how it makes me feel. I love lavender essential oil because it just has a nice calming and relaxing effect! I never tried essential oils so I really can’t say I have a favorite. I really do want to learn about using essential oils. I have heard so many wonderful things about them but never tried them. My favorite oil is lavender. I love the scent and truly believe it helps me to relax. I LOVE lavender. I put a dab on my pillow every night and it puts me right to sleep. My favorite EO is lavender or grapefruit. Mainly because that’s pretty much all I have lol. I’ve been wanting to try more EOs for awhile!